Amnesty International released its 2016 global review of the death penalty today. Here is a snapshot of executions around the world in the last year. During 2016, 23 countries – about one in eight of all countries worldwide – are known to have carried out executions. This number has decreased significantly from twenty years ago (40 countries carried out executions in 1997). 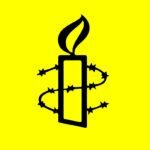 Amnesty International recorded 3,117 death sentences in 55 countries in 2016, a significant increase on the total for 2015 (1,998 sentences in 61 countries). At least 18,848 people were on death row at the end of 2016. The following methods of execution were used across the world: beheading, hanging, lethal injection and shooting. Public executions were carried out in Iran (at least 33) and North Korea.